It wasn't the biggest hit in this May 1993 game for high-A Prince William, but Bob Deller got the job done. Deller came up in the seventh with teammate Jorge Posada on third. He knocked what was scored as a fielder's choice, sending Posada home. That run put Prince William ahead for good, according to The Fredericksberg Free Lance-Star. Deller hit that fieder's choice in his fourth season as a pro. It was also his last season as a pro. He played four seasons. He never made AA. 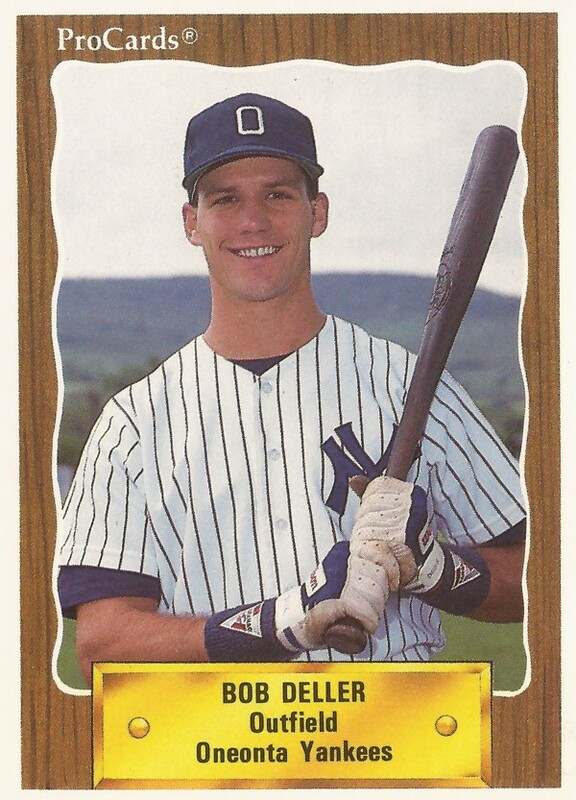 Deller's career began in 1990, taken by the Yankees in the 18th round out of Texas Wesleyan University. 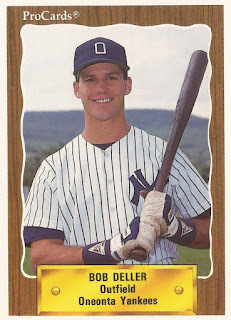 Deiller started with the Yankees at short-season Oneonta. He hit .243 over 54 games, stealing 16 bases. He moved to single-A Greensboro for 1991. He hit .252 over 84 games there. Deller made it to high-A Fort Lauderdale for 1992. He picked up three hits in one May game. He hit .254 overall. His final season came in 1992 at Prince William. He had two hits in a July game and he scored the go-ahead run in the closing game of the year. He got into 53 games and hit .265, ending his career.